Preserving the honor of old-world Greek recipes and hospitality, and marrying them with the influence of quality, contemporary Mediterranean cuisine, to achieve the delicate fusion of tradition and innovation. Originally founded by Angelo Pappas, Pappas Restaurant and 12 Islands Restaurant are celebrating their 47th year. Angelo is turning Pappas Restaurant’s reputation for delicious dining over to a new generation. 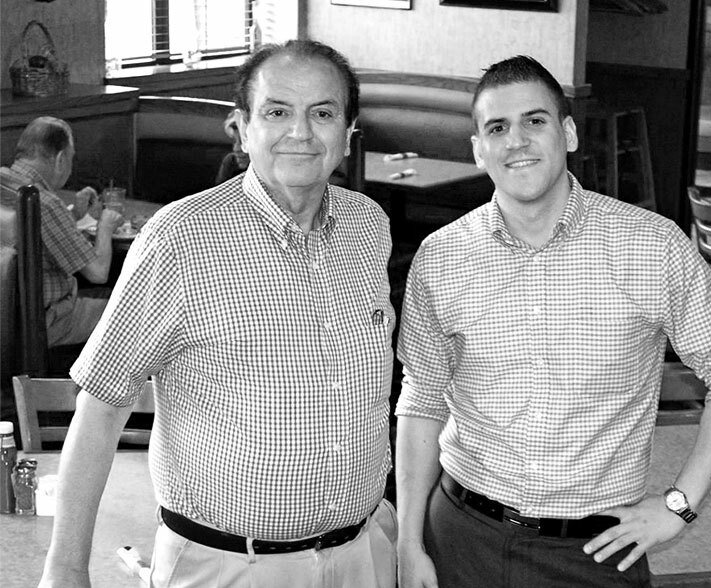 In an effort to keep the family restaurant within the family, Angelo’s son Chris has taken over as owner and general manager of Pappas Restaurant, while dad takes a step back to greet and interact with customers during his retirement. Committed to maintaining his father’s family-friendly, value-based legacy, Chris brings his own culinary experience and expertise to the table. Trained at the Culinary Institute of America, obtaining a college degree at Purdue University and working in highly acclaimed Michelin-starred restaurants, Chris serves up new techniques, innovations and ideas at Pappas Restaurant from his travels around the country. The full-service Pappas Restaurant serves high-quality cuisine. Breakfast includes eggs, breakfast sandwiches, pancakes, waffles, French toast, skillets and more. The lunch and dinner menu is filled with an array of American and traditional Greek-style food, including scratch-made soups, sandwiches, gyros, salads, wraps, burgers, appetizers, steaks, ribs, chops, seafood, chicken and pasta, and the restaurant also includes a bar. While many of the original Pappas Restaurant menu selections have remained, there are also new options offered that reflect the latest trends in Mediterranean fare. What hasn’t changed is the Pappas Restaurant’s long established tradition of being a place that welcomes “regulars” and of being community-oriented, family-owned and family-friendly.